I am all about saving money and being fab on a budget! One great way to save a few dollars is to team manufacture coupons (i.e. coupons direct from the brand) and sales in store. Here is a great example how the two work so well together. Maybelline is currently 40% off at Walgreens (check your local weekly ad). 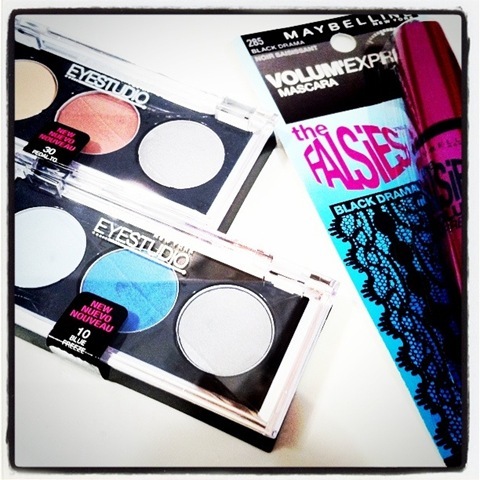 I also had a coupon from Maybelline for $3 off a purchase of any 2 Maybelline Eye Studio products. These can be found on display in most drugstores, Ulta, etc. The coupon can be used in any store that accepts manufacture coupons, so if you are like me, grab a couple for future purchases. So I picked up 2 of the Eye Studio cream shadow trios and the new Falsies Black Drama. The trios are regularly $6.29, on sale for $3.77 each, then take $3 off. So I essentially paid $4.55 for both. 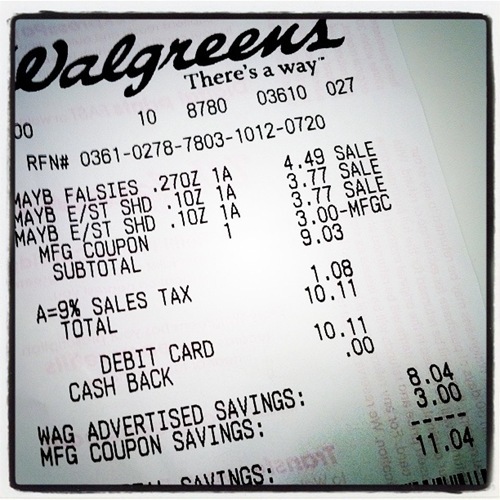 The proof is in the pudding… I saved $11! More than 50% off the total retail price for all the items! 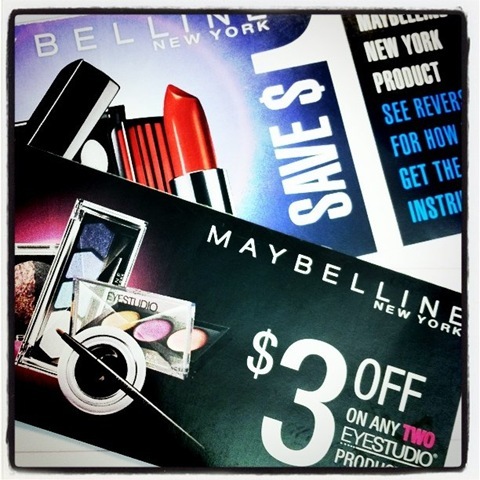 So stash your coupon in your wallet and wait for a great sale for super savings! Haul :: OPI Texas & Zoya Summer Nail Polish!